People today, exponentially, appear to be looking for a way to connect to Source through spiritually. However, not building a healthy foundation, in a balanced and responsible way, can lead to unforeseen complications. People today, exponentially, appear to be looking for a way to connect to Source through spiritually. However, not building a healthy foundation, in a balanced and responsible way, can lead to unforeseen complications. A healthy foundation includes discipline, guidance and preparedness. With that in mind, the act of connecting through the use of drugs and medicines is like sneaking into Source’s backdoor and seeking the answers to questions without having the knowledge and understanding of how the spirit world works. 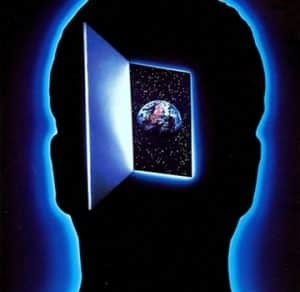 Connecting to Source in this manner is an incredibly rudimentary form of allowing consciousness to act upon energies when it has no clue how to handle the knowledge. Being aware of external energies and concurrently maintaining distinctive awareness of self takes training and discipline. The ability to focus your mind in this way requires one to be able to look within one’s self and outwardly with the highest degree of distinction between the two to obtain real clarity. In the physical realm and the etheric plane, the rules are poles apart which compel even innate shamans to undertake years of training to facilitate mastery of their skills. Still, I continually observe people in Los Angeles involved in social groups who are doing plant medicine to get connected to Source in the absence of a trained shaman, or someone who has years of training in perceiving and interacting with spirits. Who protects them while maintaining harmony for those who are traveling inward to seek the teacher of the plant on which they are consuming? I have seen many clients who have been involved and engaged in the mother plant called ayahuasca, a plant that is made into a brew of psychoactive infusions or decoctions prepared with the caapi vine. Ayahuasca is known by indigenous people as a plant that heals and gives instruction from the plant spirits. The reason why shamans and mystics call it plant medicine is because it’s just that: medicine. The native purpose of this medicine is to deal with aliments that need balance or to purge poison; not for amusement and recreation. Shamans who give plant medicine without first sitting down and having a spiritual consultation with a person is breaking a code taught by our elders. For the purpose of protecting people from spirits that can attach to a person while they are undergoing treatment, this code is essential because without training people are not ready to work with elemental spirits. In Los Angeles, a new movement has taken place where people have traveled to Peru and met with false shamans who are seeking money and are creating a cottage tourist industry to make a buck. There are few authentically officiating ayahuasca ceremonies by the code. The first rule of being a shaman who is trained in plant medicine: charge no fees for the medicine as it does not align well with the spirit elementals. All plant medicine comes from the earth and should not be given a price tag. The trend of monetizing this sacred experience has arrived in Los Angeles and has people opening their homes and charging people to come and indulge in the medicine. People who don’t need ayahuasca for legitimate purposes are not ready to blow open that door which can lead to long-term damage and open them up for spiritual attack. This can happen when the medicine is taken without a properly trained supervisor who has knowledge deep of the spirit world. When people are on their journeys and no protective measures are in place, it becomes a smorgasbord for lower spirits, hitchhiker spirits and many more that can affect one’s life dreadfully. Well-trained shamans can see spirits inflowing and will walk over to the person and remove or block it. With a proper guide and acceptable purpose, these spirits can be blocked from ever taking hold. I am sharing this with you because I want people to be aware of the risk. Look for authentic shamans who can stand and deliver you through death and life in a safe way that has no future complications. Live with awareness and follow your heart. You are the only one who decides your path; may you decide well dear hearts. Love you.